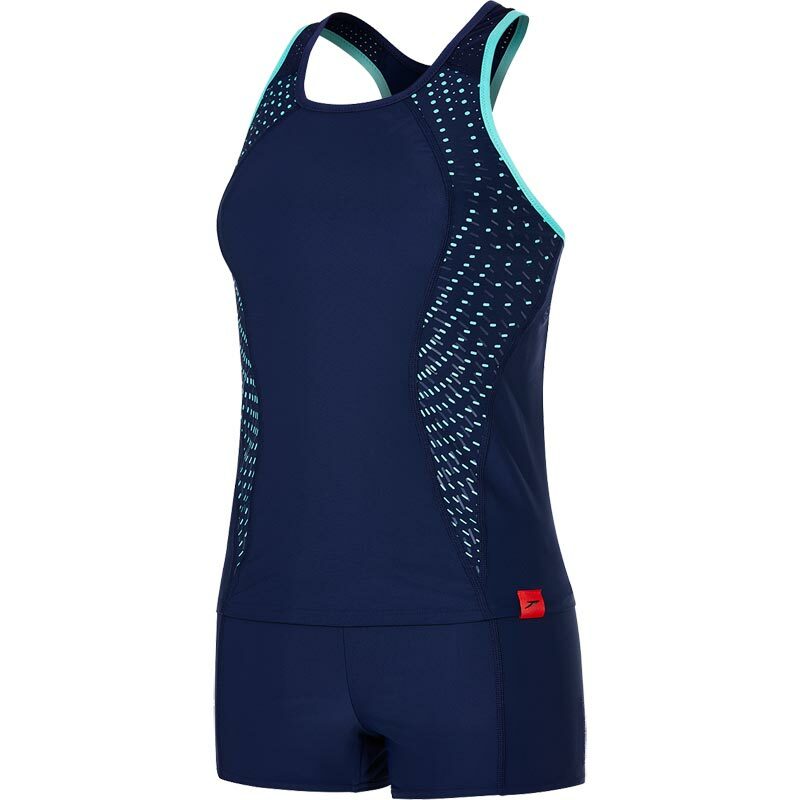 Train in style in the Speedo Fit Pro tankini, which offers extra leg coverage. 360 degree bust support and comfort straps ensure a comfortable fit, so you can concentrate on your training session. High bust support - PowerMesh and a 360 underband give you a secure fit. Comfort straps - softer, smoother straps for enhanced comfort during swimming. Performance fabric - lightweight fabric maintains its shape and elasticity in the pool. Higher chlorine resistance than standard swimwear fabrics - fits like new for longer with CREORA HighClo.